Gold Copal - Agathis dammara - from Manila. To the ancient Mayans, the divine god of the earth extracted copal resin from the tree of life and gave it to humans as a gift. It is still used by a number of indigenous people in southern Mexico and Central America during sweat lodge ceremonies as well as sacred mushroom ceremonies. Copal is also found in East Africa and Indonesia. Copal is said to be cleansing and aid in mental and spiritual endeavors. It opens the soul and stimulates creativity and imagination. Gold Copal has a gentle, soft and warming fragrance. 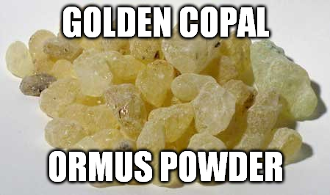 This Ormus Powder is made from Gold Copal Resin blended in structured water. Then I preformed the John Hudson method by adding Organic Dolomite and swinging the PH. 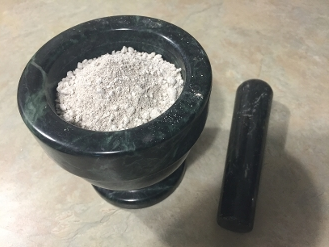 Then after washing it 7 times and drying it out, it is now a fine off white Ormus powder.